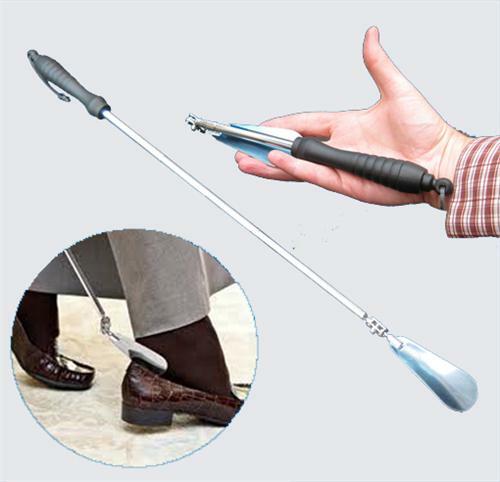 This shoehorn adjusts from 10"–24" in length. This shoehorn is Ideal for packing in a suitcase or overnight bag. 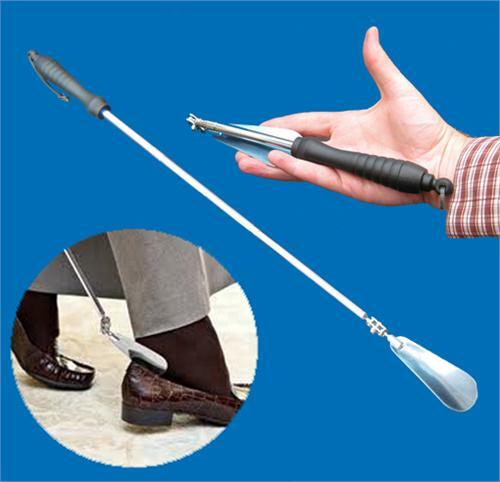 The angle of the shoehorn paddle can be rotated and tilted for the most comfortable use while standing or sitting. Smooth chrome finished steel horn.